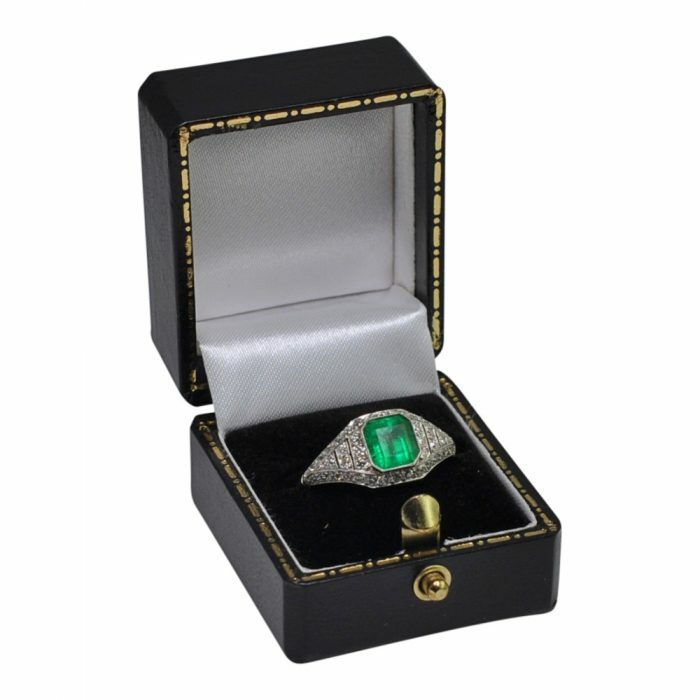 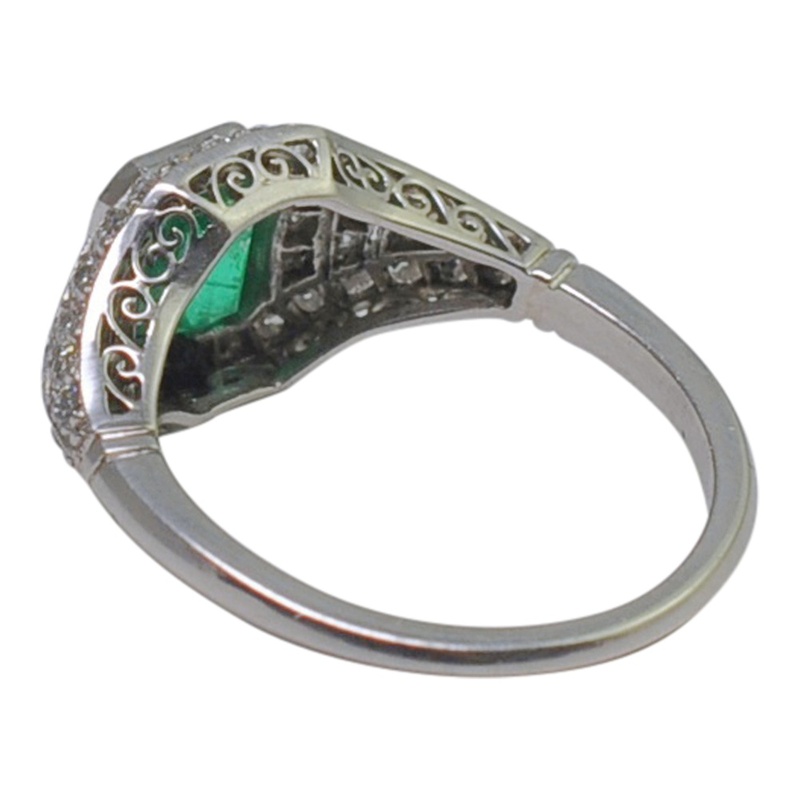 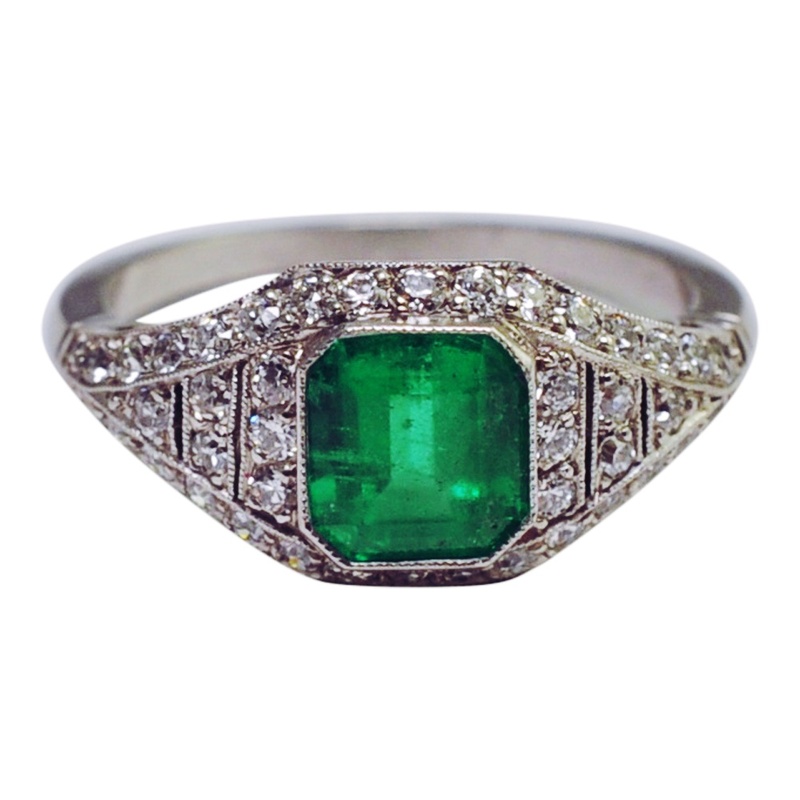 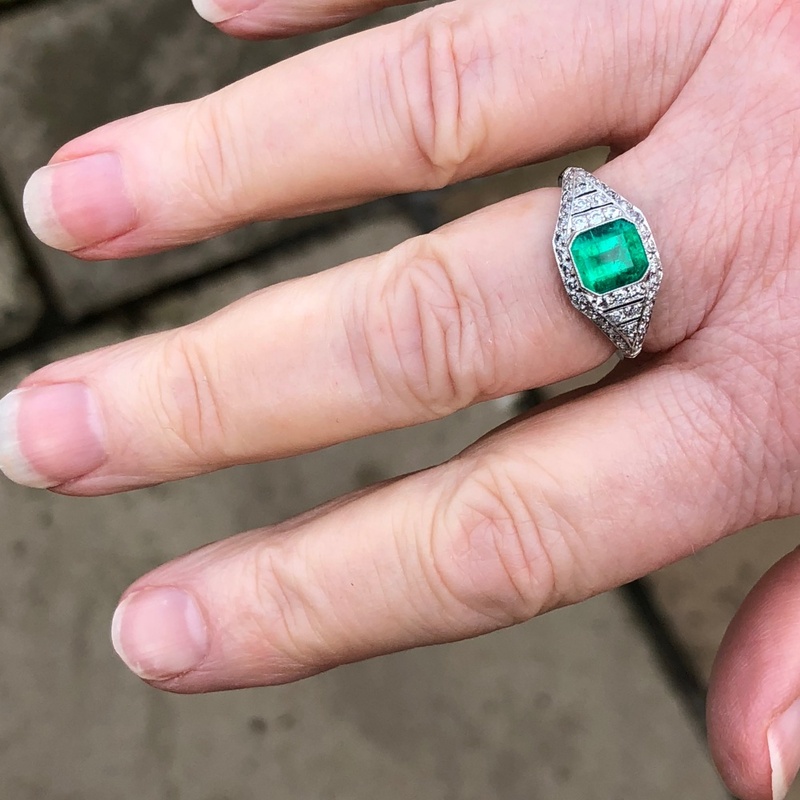 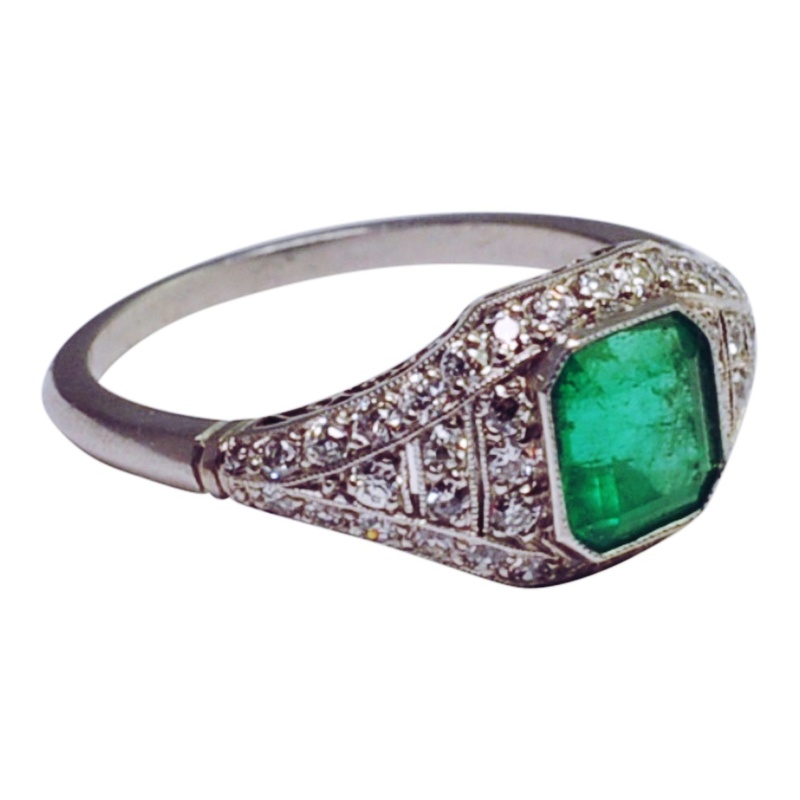 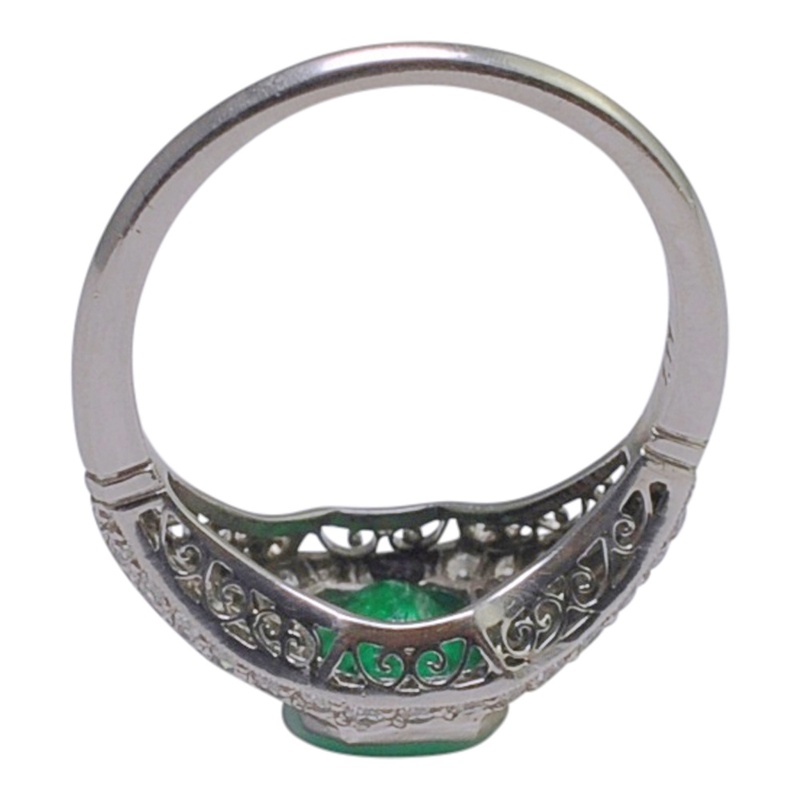 Art Deco emerald and platinum vintage engagement ring; this is formed of a curved hoop over a pierced gallery and is bezel set with a vibrant green step cut emerald weighing 1.26ct, which is surrounded by Old European Cut diamonds totalling 0.84ct in a millegrain setting. 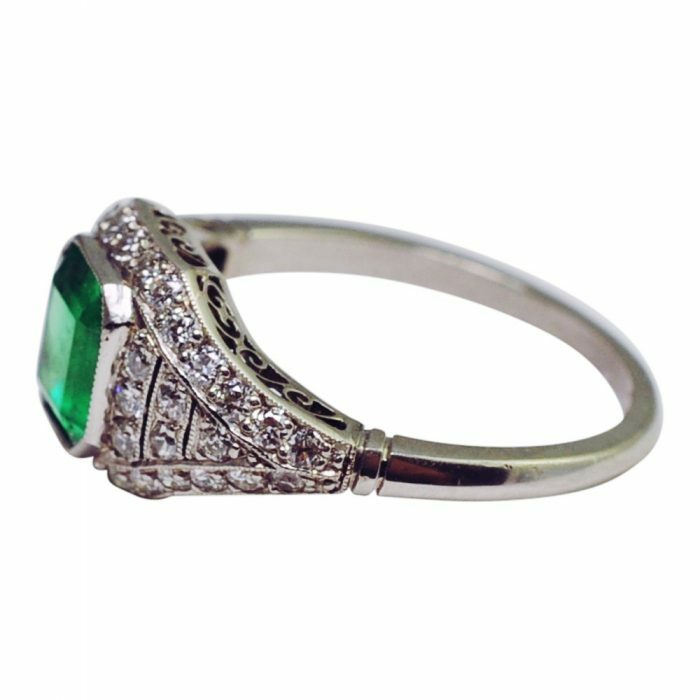 Tested as platinum. Weight 4.8gms; depth 9.8mm; finger size M1/2 (UK), 6.5 (US), 54 (French), 14 (Italian) which we can re-size for you if required. 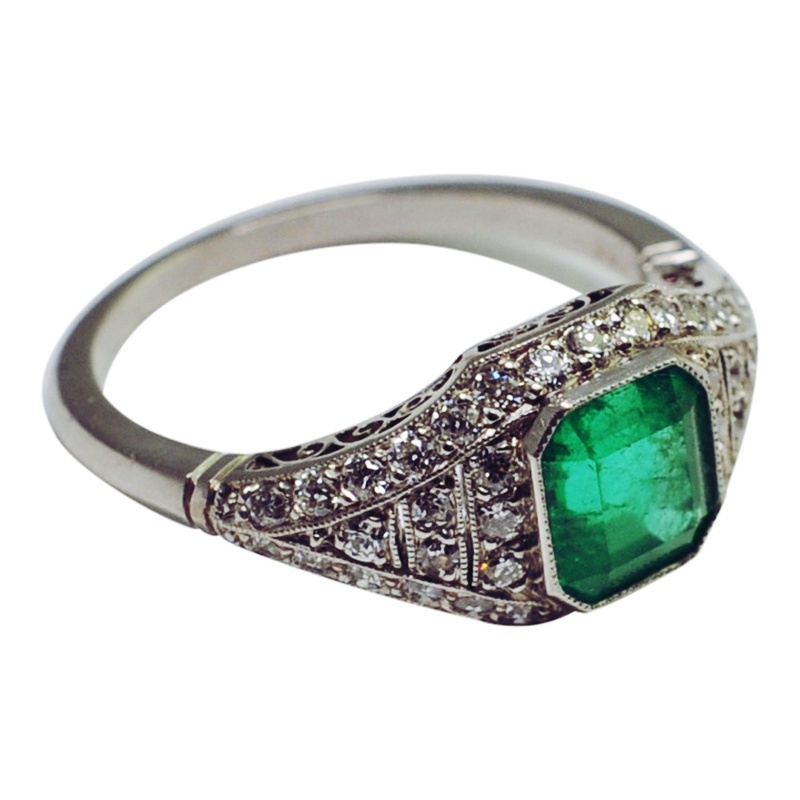 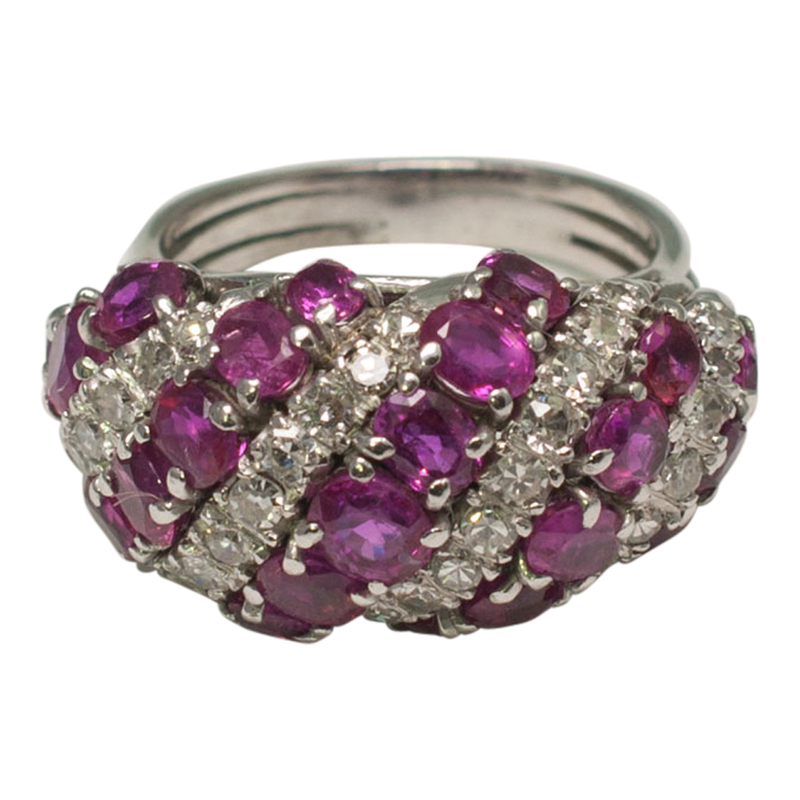 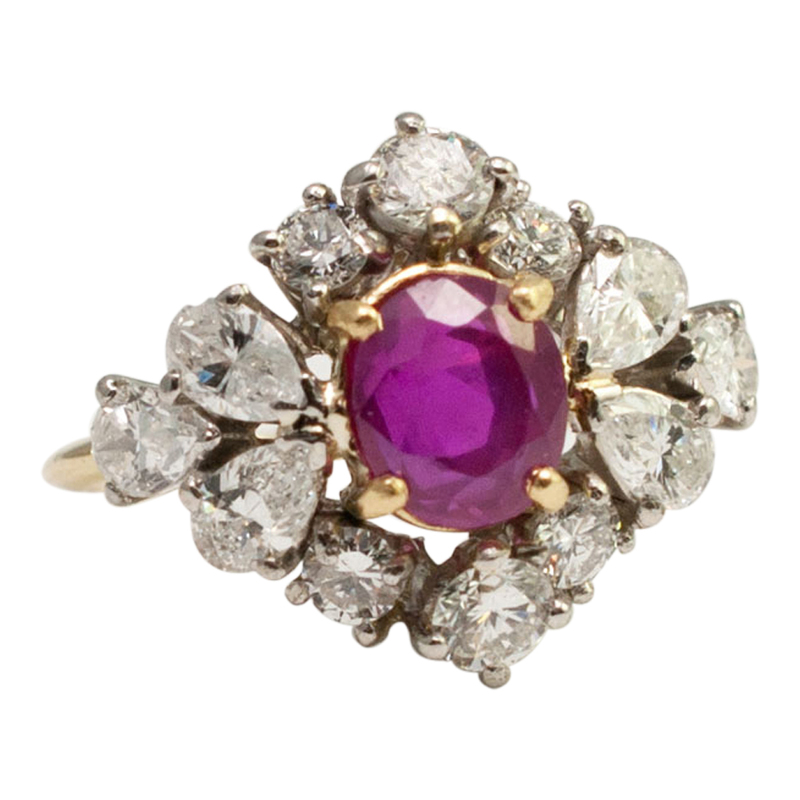 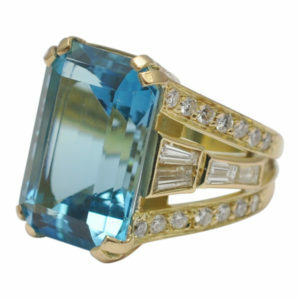 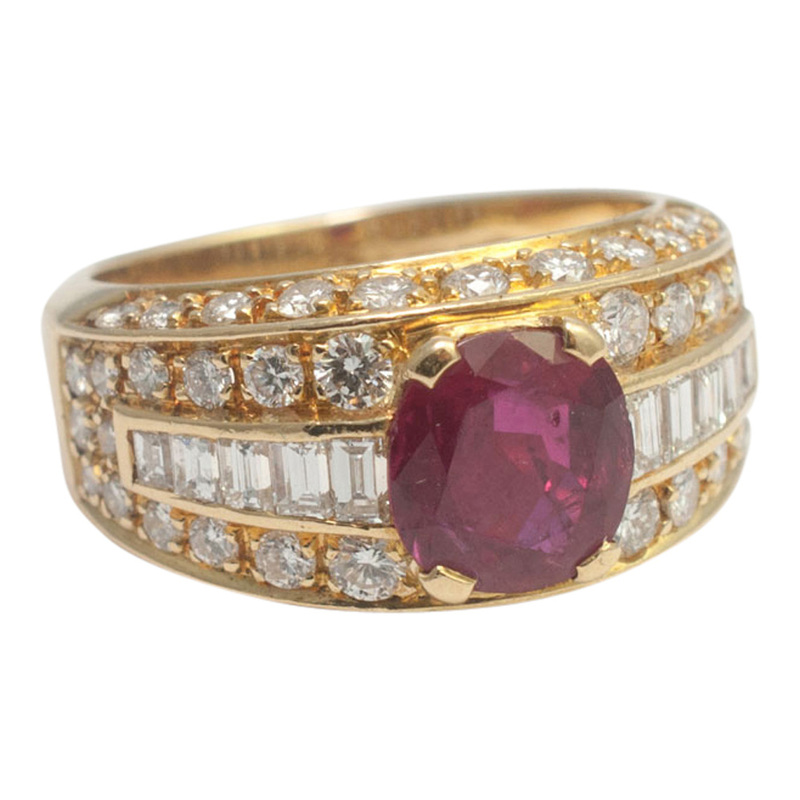 This ring is in excellent vintage condition and dates from the 1930s.